I have friends that came to faith through Christianity Explored, the evangelistic DVD course produced by All Souls Langham Place, London, staring Rico Tice. 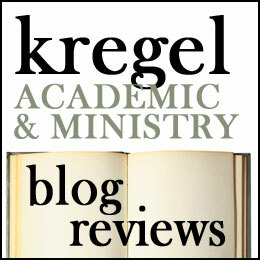 I even had the opportunity to review that course for another context, so I am aware of Tice’s ministry. So that piqued my interest in his new book, Honest Evangelism: How to Talk About Jesus Even When it’s Tough (Good Book Company, 2015). Tice begins where most evangelism books do not. The opening sentence of his introduction says, “I find evangelism hard” (11). Coming from one of the most visible and effective evangelists, it is refreshing to find that he too finds evangelism difficult. His first chapter he discusses the difficulty that awaits the would-be-evangelist. He says first that hostility, persecution, hardship, rejection will be our experience. But the other half of the story is that in addition to hostility, you will see hunger for good news. Tice writes, “The same rising tide of secularism and materialism that rejects truth claims and is offended by absolute moral standards is proving to be an empty and hollow way to live” (20). While Tice offers no guarantees on the results of our efforts, he writes, “Hostility and hunger, that is what you will find as you tell others about Jesus. And of course, at the moment you open your mouth, you don’t know which you are going to be met with; and you don’t know what your words may do to people years later. You have to risk the hostility to discover the hunger”(23). 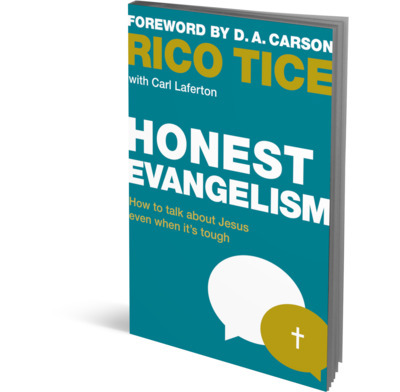 In chapter two, Tice explores how ‘evangelism is worth it.’ He roots evangelism in three motivators: the glory of Christ, the guarantee of new creation, and the grim reality of death and hell (25). Certainly he sees the reality of hell as a significant piece of evangelism (loving people means warning them), but I think his order is significant. Tice begins with the glory of God, then the promise of new life in Christ, before addressing hell and death. This is not scare tactic evangelism, but he doesn’t ignore hard subjects. In Chapter three Tice talks about why we (still) don’t evangelize. His conclusion is that it is because we harbor idols in our hearts which keep us from participating in God’s mission. 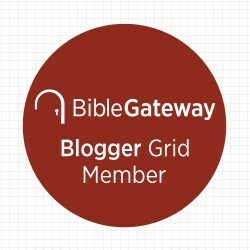 Chapter four, gives three truths to remember as we share our faith: God’s sovereignty, God’s grace and God’s power (48). Chapter five begins the practical section of the book. Tice lays out his approach to the gospel and frames the gospel in terms of Jesus’ Identity, Mission and Call (62) which is the same approach he takes in Christianity Explored. In chapter six he encourages us to bear witness in our own style. Peter was confrontational, Paul was intellectual, the ex-blind man was testimonal and the woman-at-the-well was invitational (76-79). Tice encourages us to bear witness in whatever style is most like us. In chapter seven, he explores how to evangelize in a culture of increasing tolerance and permissiveness. In his final chapter he exhorts us to pray and proclaim. Some questions I have whenever I read an evangelism book is, “Is this the full gospel ?” ” Does the author rely too much on ‘technique’?” “Is the story they are telling compelling?” I think Tice does a good job of letting the gospel sing, placing evangelism in the wider context of God’s purpose and plan. But he does focus his presentation on Jesus’ mission, on dealing with the problem of guilt and death. I think more could be said here about freedom, participation in God, restoration, but I didn’t feel like Tice’s presentation was reductionist or transactional. He is also organic in his advice on how to share your faith, prioritizing it without prescribed methods. I felt called by Tice to more purposeful witness, but I didn’t feel guilt-tripped by him. In the end, this is a helpful book for anyone seeking to share their faith. I give it four stars. I received this book from The Good Book Company via Cross Focused Reviews. I was asked to write an honest review.